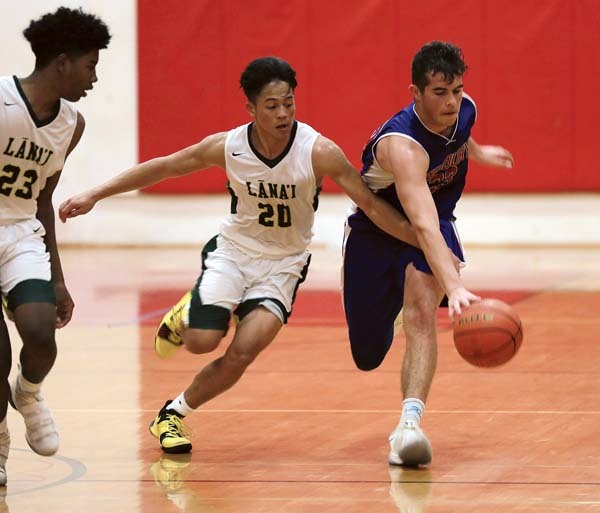 Isaiah Payne scored 22 points, including six in the decisive third quarter, to lead the Seabury Hall boys basketball team to a 58-42 victory over Lanai in a playoff for the Maui Interscholastic League Division II regular-season championship Tuesday at the Lahainaluna gym in Lahaina. The Spartans and Pine Lads each went 7-1 during the season — their only losses coming against each other –to force Tuesday’s game. With the win, Seabury clinches the top seed for this week’s MIL D-II tournament hosted by the Pine Lads. The Spartans held a slim 25-24 lead at halftime, but outscored the Pine Lads 16-6 in the third quarter to pull away. Connor Jenkins scored six of this 11 points in the frame, which also included one of Payne’s three 3-pointers. 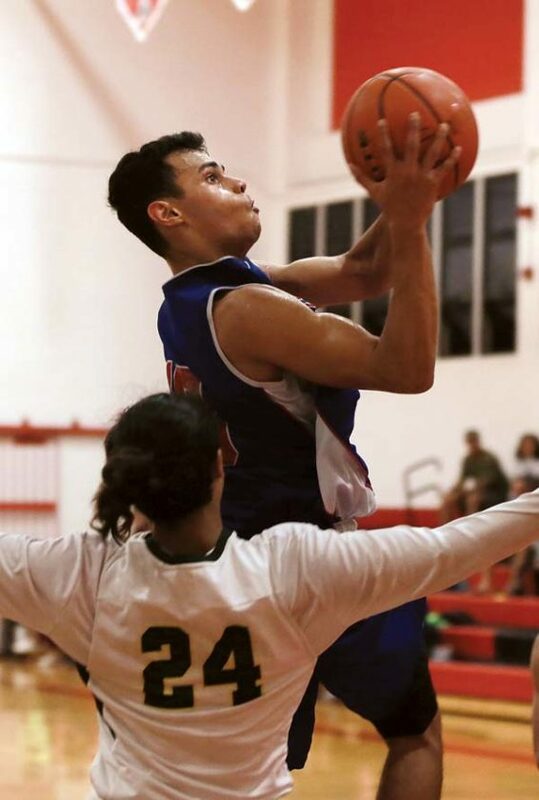 Kama Konohia added 17 points for Seabury, which will face the winner of today’s first-round game between St. Anthony and Hana in Thursday’s semifinals — the Spartans would clinch its ninth straight MIL title and the league’s lone state berth by winning the MIL tournament. Seabury Hall’s Conner Jenkins (right) and Lanai’s Naighel Calderon go after the ball while Andre Adams looks on in the third quarter Tuesday. Arjen Uminga hit four 3-pointers and finished with 16 points for the Pine Lads, who will face either Molokai or Haleakala Waldorf on Thursday. 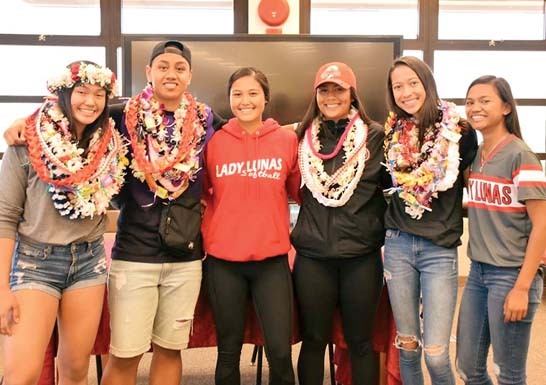 Lanai must win the MIL tournament and then an overall championship playoff against Seabury in order to make the state tournament. Devin Vidad 0, JJ Dulay 5, Joel Nisperos 0, Jayden Castillo-Pagay 0, Naighel Calderon 9, Kane Tubera 0, Arjen Uminga 16, Andre Adams 2, Devrene Kahananui Alejado 5, Morgan Jonas 5, Jamahl Adams 0, Kaleb Alboro 0, Elijah Gima-Maltezo 0. Noah Payne 0, Carl Molinaro 0, Gabriel Medallada 0, Cooper Waite 0, Brayden Hasegawa 0, Isaiah Payne 22, Rolando Berdal 0, Caden Granum 0, Kai Preseault 7, Conner Jenkins 11, Kama Konohia 17, JD Pells 0, Joaquin Donez 1. 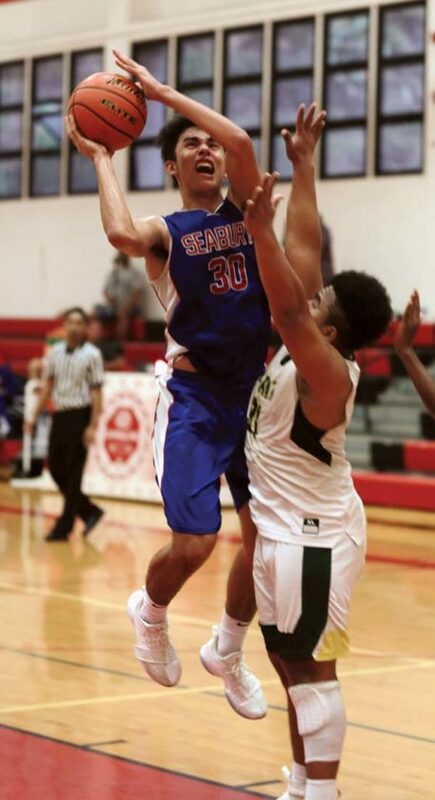 Kama Konohia of Seabury goes up for a shot against Lanai’s Morgan Jonas. D-II tournament first round: St. Anthony vs. Hana at Lanai, 5:30 p.m.
D-II tournament first round: Molokai vs. Haleakala Waldorf at Lanai, 7 p.m.
D-I second-place playoff: Kamehameha Maui vs. Maui High at Lahaina Civic Center, 7 p.m.
D-II tournament semifinal: Seabury Hall vs. St. Anthony-Hana winner at Lanai, 5:30 p.m.
D-II tournament semifinal: Haleakala Waldorf-Molokai winner at Lanai, 7 p.m.
D-II tournament final at Lanai, 7 p.m.
D-II overall championship, if necessary, at Lanai, 10 a.m.